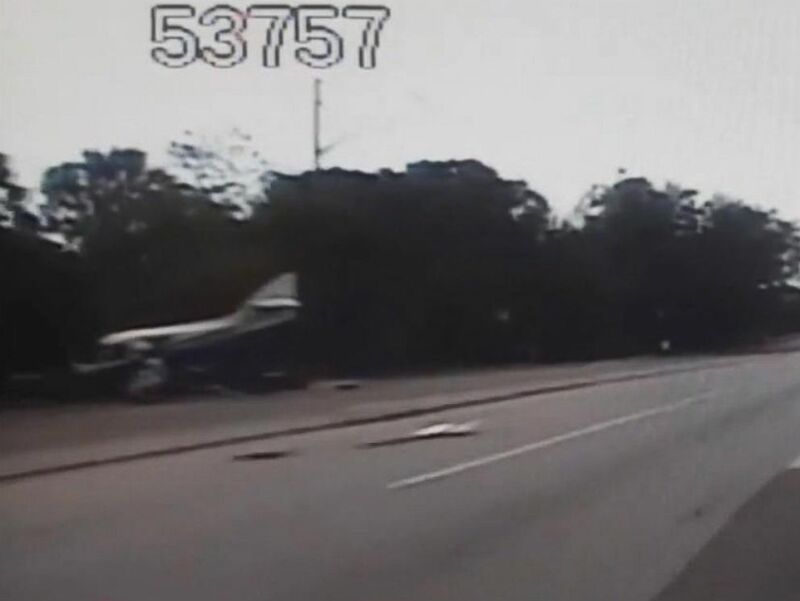 A small plane made a dramatic emergency landing on a Florida road Sunday morning, buzzing just feet over cars and crashing, as shown on stunning police dashcam footage of the crash. Miraculously the pilot and passenger were able to walk away from the crash, and no one on the ground was injured. 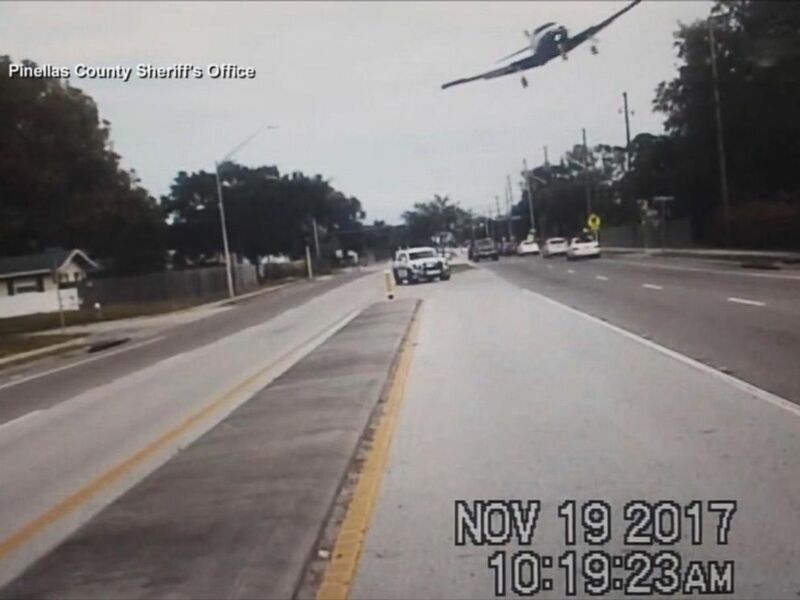 As seen in the Pinellas County Sheriff's Office's dashcam footage, the single-engine plane is flying low over the Clearwater, Florida, road and suddenly banks to its left, soaring right over the deputy's squad car. PHOTO: A Pinellas County Sheriff's deputy was able to capture a small airplane crash onto a Clearwater, Fla., road on his dashcam, Nov. 19, 2017. Two deputies responded within seconds of the plane's crashing onto the road. Luckily, according to authorities, the pilot who owns the plane and his passenger were able to walk away from the crash. Fortunately, no bystanders were injured, either. A small plane captured on video by a sheriff's deputy squad car banks over a road before crashing in Clearwater, Fla., Nov. 19, 2017. The plane is a four-seater 1975 Rockwell International 112A fixed-wing, single-engine aircraft, according to ABC affiliate WFTS in Tampa. The sheriff's office said the pilot and his passenger took off from Clearwater Air Park earlier that morning and went to Zephyrhills, which is about 50 miles away. The pilot told authorities they were returning to the Clearwater Air Park when "something went wrong." The plane went down about half a mile away from the air park. A Pinellas County Sheriff's deputy was able to capture a small airplane crash onto a Clearwater, Fla., road on his dashcam, Nov. 19, 2017. Deputies say the pilot thinks an engine problem was to blame, but no official cause has not been determined yet.